I have to match 7.799 Ω+1.3158j to 50 Ω load with PI filter at 430 MHz. My advisor's advice - use pen and paper and Smith chart. But since I'm determined not to do maths on paper ever again (we have computing machines available now) then I started to search other ways out. So I read a tutorial on Impedance Matching and The Yin-Yang of Matching, really great stuff. 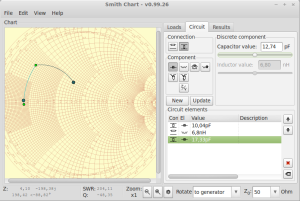 Then I found program called linSmith. Runs natively on linux, but requires compiling. User interface is quite good and no user manual is needed. I just typed in working frequency and starting complex impedance. Next I put in PI filter components with approximate values. 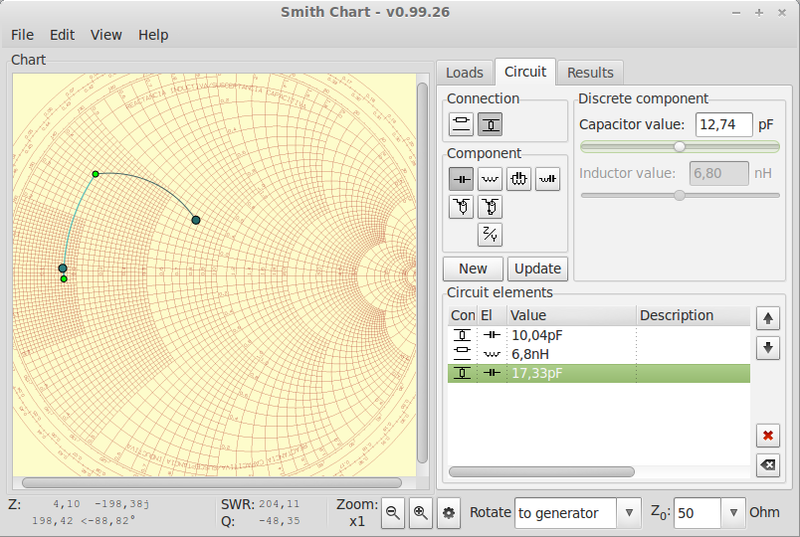 It started showing all values on Smith chart. Little bit of playing around with sliders to adjust values. After couple of minutes I had values for my filter that matched impedance well and was made out of readily available components. 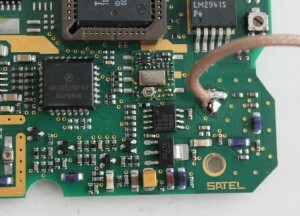 Next step is testing the calculated values on real circuit board. 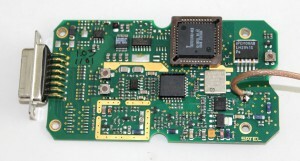 Real board and components have parasitic elements. The final values will be determined by trial and error, but the calculators give very good starting point. I'm building a small 430 MHz 1 W RF amplifier to get some practical knowledge about RF design. 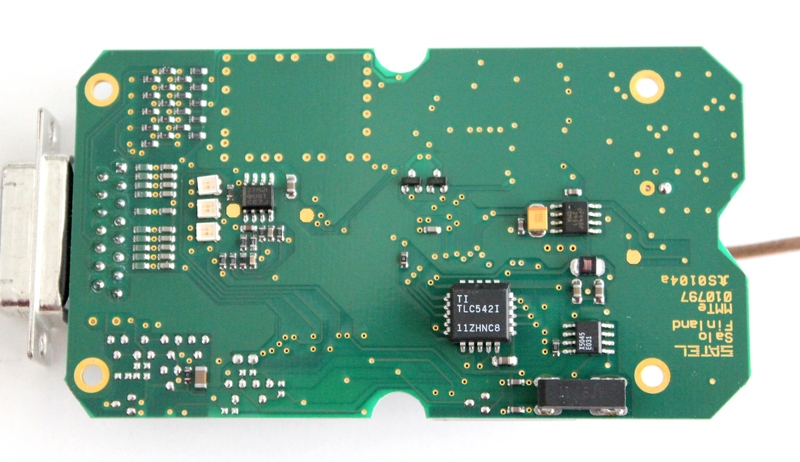 Choosing components and making the PCBs was walk in the park. But suddenly my instructor said that I have to match my amplifier with next stage. It is weird, because I thought that RF amplifier meant that output would be 50 Ω, but no, it is something totally random. 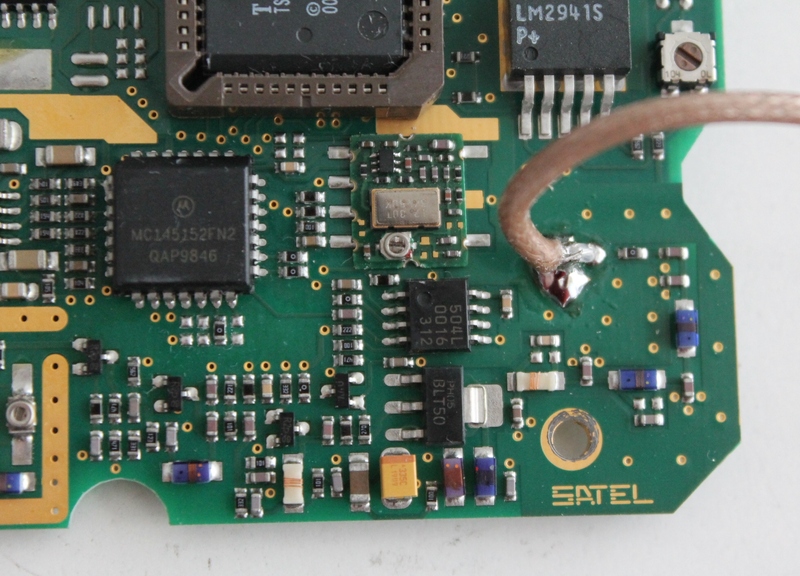 So, my amplifier TQP7M9105 has page with S parameters. 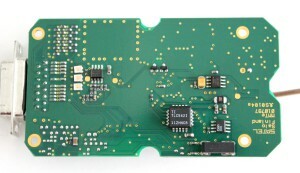 S parameters are parameters that describe RF components working in a 50 Ω environment. In our case S22 is what we want. 22 mean that it is second port reflections to second port aka output information. 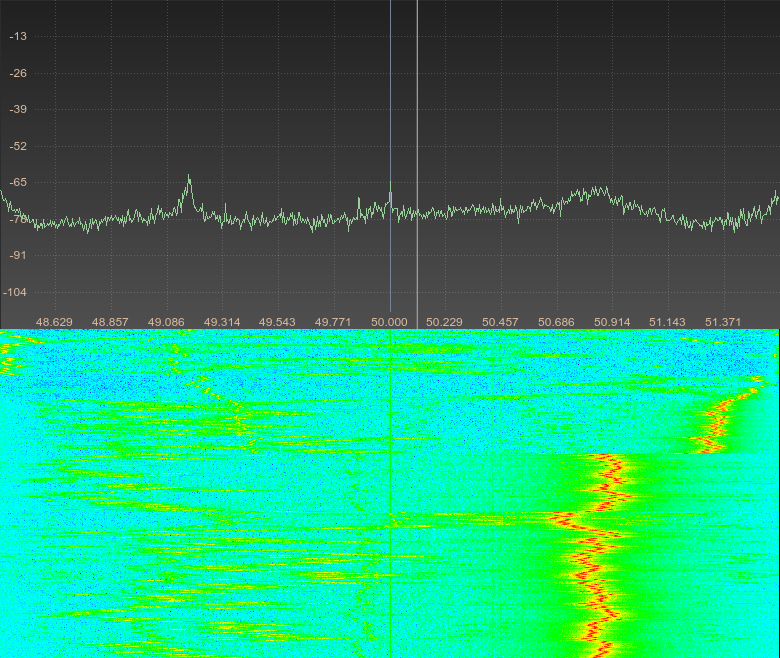 S22 at 400 MHz is -2.73 dB 176.91 degrees. 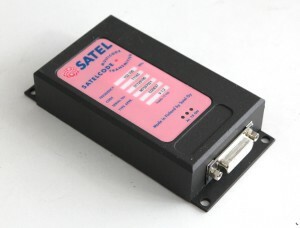 This is - connecting output directly to 50 Ω output you get attenuation of 2.73 dB and phase shift of 176.91. So, my amplifier output impedance @400 MHz should be 7.799Ω+1.3158j. Quick check from mismatch calculator confirmed my results. Next I used PI-match impedance matching calculator to calculate necessary values. Got some answers, probably will use other methods to check if they are correct.